Spring ski tour? or was this todays conditions? @Markhandford, it was today, we’ve got spring-like conditions at the mo, just without the depth! Nice tour. It was lovely to share some turns with you gents. Feckin howling out there today, and that's in the valley! Top of Eychauda and Clot Gauthier look distinctly unpleasant at times. Fair weather Charlie Thought Siberia would have toughened you up? Not a breath of wind here.........? @KenX, look up on the peaks. Looking at radar on t'laptop and then actually up the valley towards Lautaret / Galibier and Monetier is just about on the border of the weather. @KenX, yes wind did seem to ease around lunchtime and I was almost tempted to go up and take a look, but decided on setting up the torture chamber and that took a good hour plus of tech mares, which I knew I'd be in for, but all sorted. 17:15 Sunday - down in the valley it's not as bonkers as further up. Earlier we drove the 10km down to Briancon (1,200m) for their Xmas market. We left La Salle (1,400m) and temps were 4℃ and not that windy, down in Briancon was calm almost mild 7℃ as we were well wrapped up. Driving back said to the OH shall we drive up to the Col du Lautaret. A km past our turning wind was kicking in, by Monetier 1,500m and 3℃ and light snow, another 3km and 100m snow laying in the road and at 1,700 bonkers windy/blizzard conditions (vid below), and the sensible option was to turn round! So was back in the torture chamber again. Think it's grim again tomorrow. @Weathercam, We are thinking of visiting Serre (Chantemerle) for one week from sat Dec 15 next. That will be the first full week of the season. Wondering how normally the first week of the season is in terms of opening lifts en pistes. If snow cover allows do they open all, or will it be a slow start with 50% open. It looks like until next Saturday not much snow will fall. With the actual conditions what would be the forecast regarding open pistes en lifts? @Japie, they will open a fair number of lifts, certainly more than last weekend, plus Monetier as well. But there again don't hold me to it as there is often no logic as to what actually happens. http://stylealtitude.com/serrechevalierweathercam.html though very very windy in the valley, might well be another day indoors. 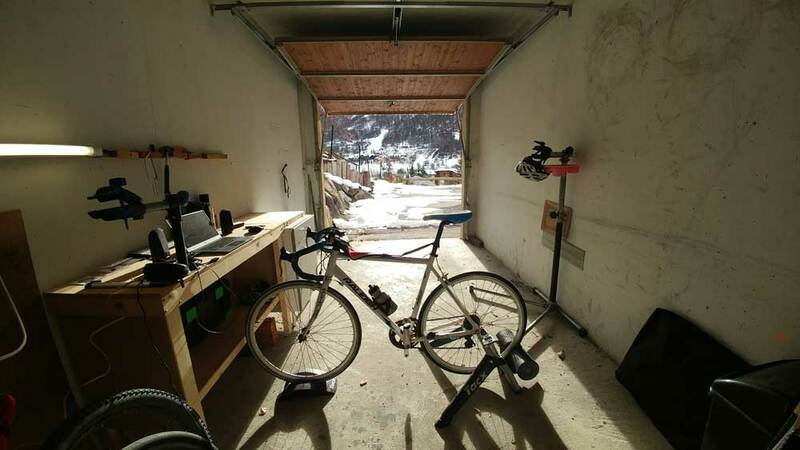 Couldn't face another session in the garage on the turbo and even though it was very windy thought that maybe skinning up the Casse du Boeuf might not be too windy and I could see from here some decent tracks. 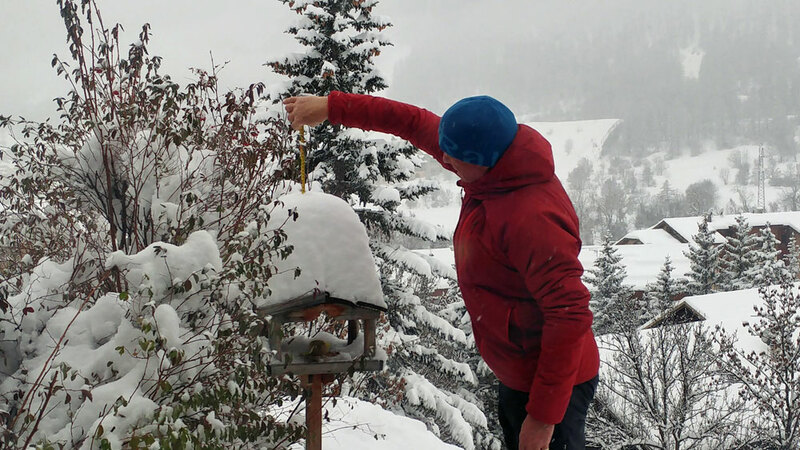 A good 15-20cm of fresh snow and where the Marteau joins the Casse the powder was very good indeed. I did let them go pass so the snow was beaten down for Les Chiens who had given up chasing all the over the mountain and were quite content to follow in our tracks. The powder was really good all the way down to the Marteau and thereafter it was still not too bad. All in all a good decision to go out today! Though am a tad knackered having climbed nigh on 900m in just over an hour and a half moving time! @Weathercam, Thanks for the info. I just booked and could make use of the "opening Deal"; day pass € 15,=! @Weathercam, Gav, have to say your dogs are so entertaining. Even with mowhawks! Today we headed to Monetier, again hoping that the between the trees on the piste would not be too wind affected. We were heading for the secret piste, in that it's never pisted, and sort of runs parallel with the drag and slalom pistes, though as we were climbing up past the Peyra Juana we began to think that maybe they had bashed it! However, we were relieved to see that indeed it was not and looked totally untracked. We skinned up the slalom piste as that was bashed and headed to the top of Bachas where we had a little break before the descent. We started off in the trees and the snowpack was varied, to say the least. All looks good for the opening weekend with good snow cover, bearing in mind we were only at mid-level, though the off-piste did look very wind affected but we were looking at the windward faces as it were. I might skin up Montagnolle tomorrow to take a look. So the valley is slowly gearing up for the coming season. The seasonal Sherpas are opening up and a few bars and restaurants are now open, more for the seasonal workers who have now arrived preparing accommodation etc for the coming weekend as the resort and lifts open full time. My neighbour has been going to work every day for the past five or six weeks as she gets her shop ready (Brechu), though always surprises me it takes that long. Yesterday OH, Rando Chiens and I ski toured some new terrain, sort of above Le Casset is all I'm at liberty to say, and after a really tough climb with nigh on 37 kick turns then had to find the start of the line through a bit of a rock garden, and as you can see from the vid it was pretty good. @Weathercam, some nice fresh snow would be a great welcome to Monetier on Saturday. You never know we might cross tracks - keep an eye out for a kid with 15 SnowHeads stickers on his helmet and the rest of us trying to keep up! @jd_evans, Peyra Juana towards bottom or Rochamout piste (Monetier). Small rustic hut, long communal tables. Great (and huge) plat du jour. @jd_evans, also Pi Mai near the bottom of the Vallons chair, Echaillon under the new Cote Chevalier chair and Chalet Hôtel de Serre Ratier as well as Chazelet bottom of Casse du Boeuf if skiing away from Monetier. And then Chalet Serre Blanc just above Rocher Blanc chair, Prorel sector. And maybe possibly the best restaurant in the valley for haute cuisine, though evenings only and Sunday lunchtime, La Table du Chazal in Les Guibertes, just down from Monetier. Snow cannons doing their thing as temps this morning 11.6 - minus that is. @Weathercam, I saw the photos on FB yesterday, looks great. @Hells Bells, @Weathercam, thanks for those suggestions. Let me know if you'd like to meet up some day. I think we've met in the EoSB last year. Third cabin up from Frejus only to get up there and no drags open. Had to wait five mins or so which was just as well as OH's binding was a tad frozen. We did a couple of descents off the Cretes and out in the open the powder was very sketchy so next time we stuck to the forest and just maybe we should have stuck to that. That said pistes were in great condition and so empty for the first hour or so. 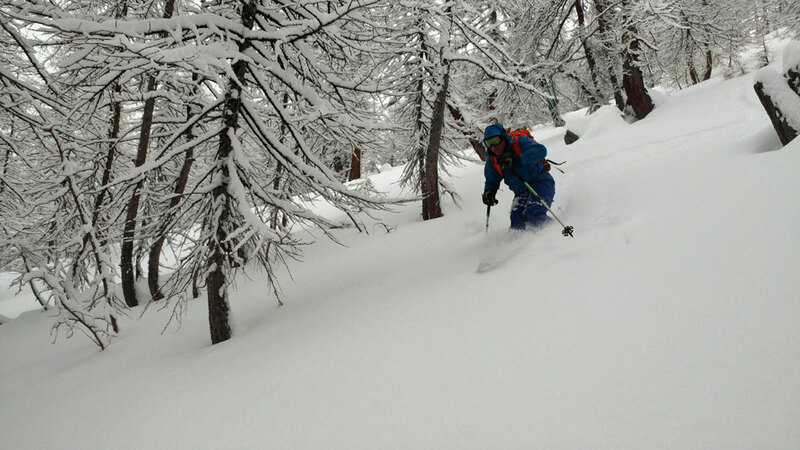 We then went up Vallons and did a long traverse and then scored questionably "powder". Next time we did the ridge hike I did yesterday and even with wider skis snow was still sketchy. 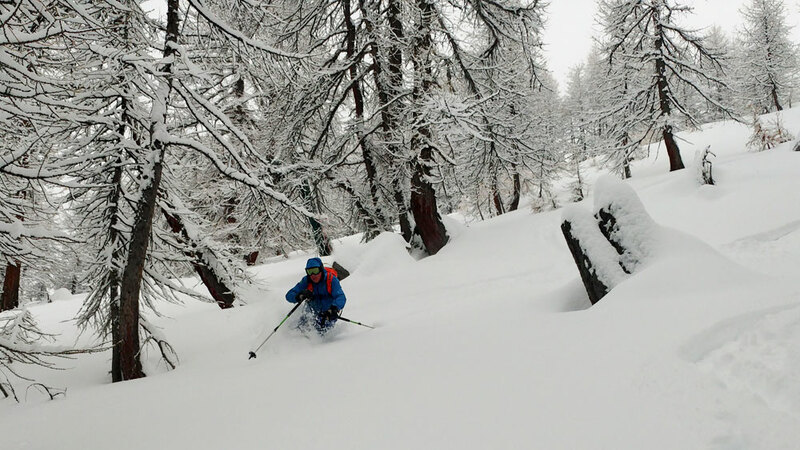 We then took the new Cote Chevalier chair and went to ski lines we did last weekend but fifty or so ESF, instructors were also there, so we traversed further and in fact, the best snow of the day was in your gulley@KenX. We then went up Clot Gauthier and scored some more sketchy powder across where the double drags are, as they were closed and the pistes had a mixture of fresh and windblown. Should add that the lines straight under the Gauthier chair had hardly been skied as the snowpack was so bad! The plan was to take the new chair up but we arrived to find a massive queue as the lift had obviously not been working for a while! So we skied back down past Pointless (closed) and they had not pisted the run back to Chazelet so that was amusing with the massive mounds of snow canon snow. Should add that late afternoon and looks like tomorrows weather is rolling in. Then as an aside as we were getting on the Clot chair I spotted this guy wearing "Team Madagascar" jacket and surmised to the other half humorously that it was probably all of the Madagascar Ski Team. At the top I asked him and he explained that he was the coach (born in Serre Che) and the girl with him was Mia Clerc who raced for Madagascar* at the last Olympics in all disciplines and ranks top 50. We then explained our relationship with Mada and how my OH is Editor in Chief of Prime Magazine the in-flight magazine of Air Mada, which she was featured in July of this year. And jeeeess did they come flying past us. 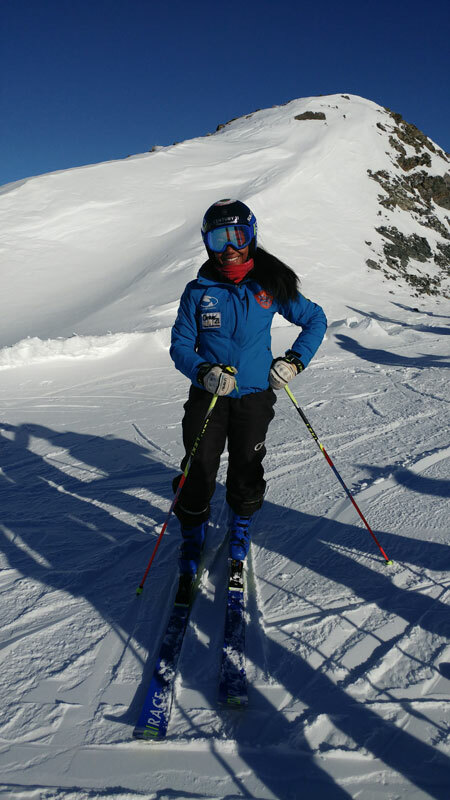 She competes in the World Cup next week in Courchevel. And snow-pack state for sure is better for boards at the moment. Just under 30cm overnight - not a lot open at the moment, decisions as to where to go? Snowplough just been and has peppered the garden and birdtable and our windows spraying snow from the our parking below, was a rush to close the shutters and then race down and tell him the snow was splattering our windows. Loads open now according to the interactive map, get up there! 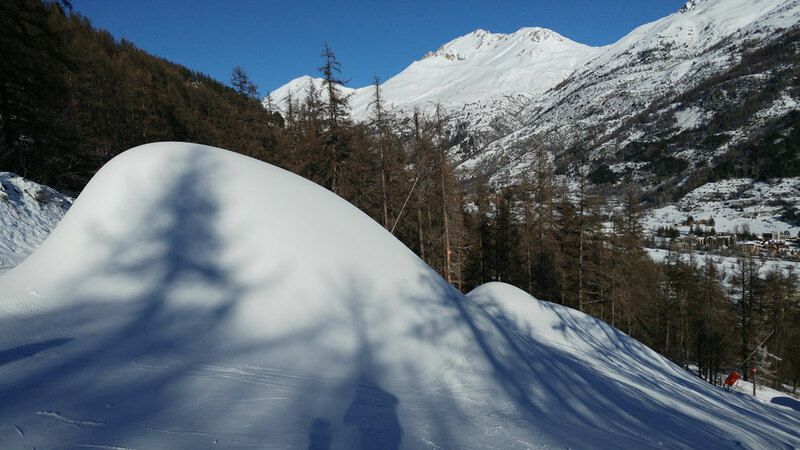 Any suggestions for ski hire in Briancon? Thanks. I’ve generally had good service and skis with Intersport in the past so will probably go with them. A classic Serre Che couple of hours post snowfall. Clouds and viz rolling in so best to stay in the trees. Vallons was shut so stayed in our sector doing laps off the Cretes and a few runs elsewhere. Hardly anyone around, but locals managing to ski a lot of lines.